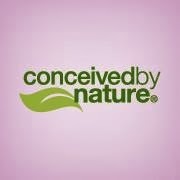 Conceived by Nature have been some of the very best, natural hair care products I have tried! Moisturizing Citrus; Nourishing Lavender and Fortifying Rosemary. The shampoo left my hair feeling light and clean with just a hint of Lavender. It was not over powering in fragrance which I so appreciate. It however had enough to give my hair that nice fresh scent. All natural organic ingredients including rice, hemp, marigold, grape, Chinese tea, and lavender. Now those sounds like we could even make a great tea out of! I love being able to use shampoo on my hair that has ingredients that my body can appreciate. The conditioner was not a heavy, greasy conditioner. It gave just the right balance to my hair. Naturally moisturizing with shea, coconut, olive and sweet almond oils. This again is a nice rich condition.. naturally. It did not strip my hair of it's natural oils, nor did it leave a residue on my hair. My hair did not feel 'coated' with conditioner when I rinsed. A beautifully smelling, natural product that I highly recommend. "Our formulas have no synthetic dyes, no silicones, including dimethicone; no mineral oils or petrolatum; no animal derived ingredients; no parabens or sulfates and no testing on animals occur in the line. The well-balanced blend of botanicals, vitamins, and other organic ingredients present an environmentally conscious beauty routine, while living up to performance expectations." I also received the Anti-Frizz/Shine Serum, Hair Strengthener, and Detangler. The products all performed up to par with the shampoo and conditioner. My very favorite of the three was the Detangler. I have long hair and it is inevitable that no matter how I shampoo and condition my hair, it will get tangled. My daughter has her 'little girl' detangler that I snag to use on occasion. I was thrilled to have a natural, Mom version of the detangler! This product WORKS wonderfully! I only needed to spritz a small amount and my tangles easily unfurled. This will most definitely be my go to product for tangles, and we will be using it for my daughter as well. Manufactured by Straight Arrow Products Inc, maker of Mane N' Tail. These products sound great. I love brands that use natural ingredients.